Advanced wind technologies for wind turbine components. Our technologies are conceived to be easily integrated in existing wind turbines. Nabrawind provides certified technologies and components that do not require wind turbine redesign and validation. NABRAWIND TECHNOLOGIES S.L. has received grants from The Centre for the Development of Industrial Technology (CDTI), a Public Business Entity answering to the Ministry of Economy, Industry and Competitiveness. The company received the grant NEOTEC and the R&D projects Nabralift and Nabrajoint received two PID grants for the design and development. NABRAWIND TECHNOLOGIES S.L. 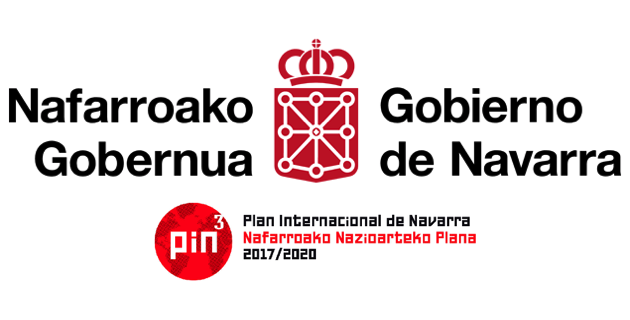 has received grants co-funded by the European Regional Development Fund through the 2014-2020 ERDF Operational Program of Navarre and the Spanish Ministry of Economy, Industry and Competitiveness. The grants have been aimed at developing R&D projects and supporting the internationalization of their products. NABRAWIND TECHNOLOGIES S.L. has received grants co-funded by the European Regional Development Fund through the 2014-2020 ERDF Operational Program of Navarre and the Spanish Ministry of Economy, Industry and Competitiveness. The grants have been aimed at developing R&D projects, the improvement of the competitiveness and supporting the internationalization of their products. NABRAWIND TECHNOLOGIES S.L. within the framework of the Export Initiation Program of ICEX, has had the support of ICEX and with the co-financing of the European FEDER fund. The purpose of this support is to contribute to the international development of the company and its environment. Nabralift program is supported by KIC InnoEnergy, with funds from European Institute of Innovation & Technology (EIT) and the additional support of a European network of industry experts, businesses and researchers.